Last month, 123RF Thailand hosted the inaugural “Pad Thai: Photographers and Designers Thai 2014 Conference” with excellent support by Canon Marketing (Thailand), and The Network Hub Pte Ltd. (Adobe), while Fotofile and National Geographic Thailand sponsored gifts for the goodie bags and lucky draw prizes. 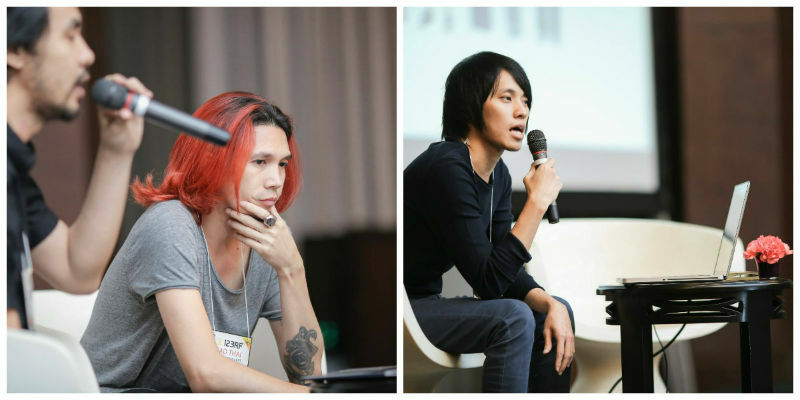 The conference, held on 18th October 2014 at S31 Sukhumvit Hotel, was attended by over 400 photographers, designers, illustrators and university students majoring in photography. The objectives were simple – encourage Thai photographers and designers to produce more content for global usage and to foster unity among the Thai creative community. In the first hour, our very own Creative Director, Isaac Phoo, spoke about current and upcoming keyword trends and shared popular portfolios, while 123RF Intellectual Property Lawyer, Denning Tan along with Khun Sanya, delivered a session on stock content copyright concerns and releases using a interesting “selfie” scenario to illustrate the potential issues. But the best is yet to come! 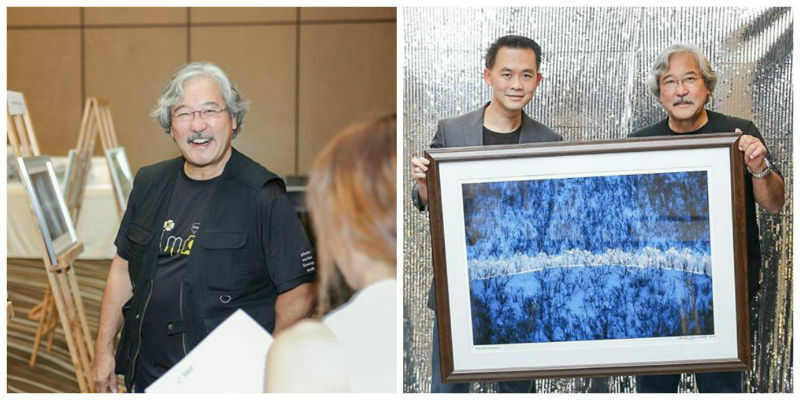 When world-renowned pro photographer, Mr. Michael Yamashita graced the stage, there was no hiding the admiring faces across the room. And it’s no surprise as Yamashita is well-recognized in the world of photography and one of the longest standing resident photographers at National Geographic Magazine – 30 years to date and counting. His passion for photography and travel has brought him across six continents in Asia, including Japan. Inspired by Asian history, Yamashita then specialized in retracing the paths of famous travelers and their journeys. His findings were aptly recorded in award-winning documentaries including stories on Marco Polo, the Japanese poet Basho, and the Chinese explorer Zheng He; as well as 10 published books derived from 30 of his most popular works. During the conference, the veteran photographer was all smiles as he shared his wisdom and experience on editorial and landscape photography. One could see the dedication and excitement he had for his first love – photography. For him, luck and opportunity is the basis of good photography and it is apparent in his work that he produces. When asked which camera produces the best photos, Yamashita only had this in reply. “The best camera you can ever have is the one in your hands” Means, it’s the moment that counts not necessarily the hardware that you carry. Spoken like a true professional. 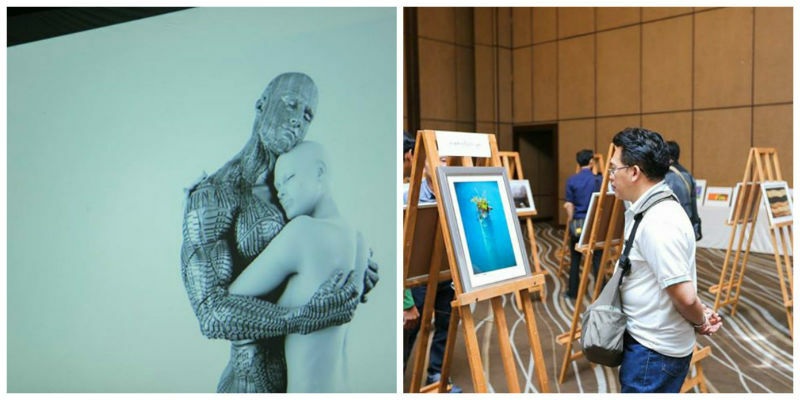 Designers and illustrators were not left out as two speakers were exclusively invited for the conference. 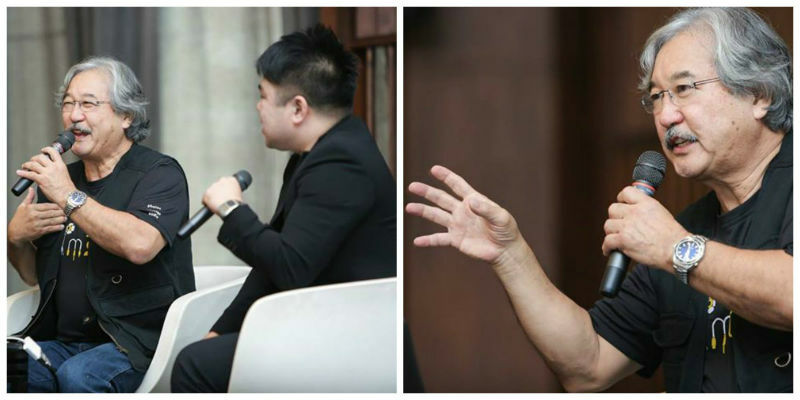 Khun Chutivat Cherdchoo, Creative Director of Visionary Group Co., Ltd demonstrated the skill of retouching and illustrating creative work while Khun Kanon Umpornsirirat, Art Director from Ogilvy & Mather, shared his experience on the types of stock content that buyers use in their projects. It was evident from the gripping sessions that both speakers are true experts in the design field and was well equipped with the right answers when questioned by the eager crowd. At the end of the conference there was also an open discussion conducted by three 123RF Thailand contributors, Khun Kanate, Khun Siraphol and Khun Vichaya on how to achieve success in the microstock industry, which was a perfect opportunity for sharing. Overall, the conference was well received by the attendees as it promotes and encourages creative skills in Thailand, especially with the presence of students who are the seeds of rising talent. Will there be another conference in the near future? Well, there is no talk of it yet but one thing is for certain: You will walk out inspired with a better understanding on microstock and the wide potential that come with it.